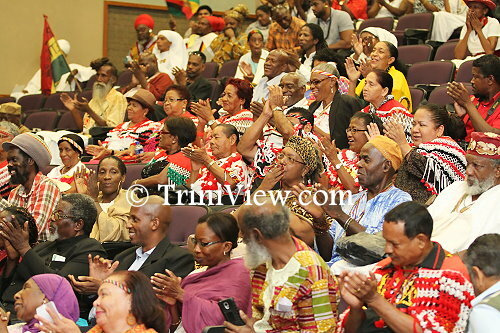 The Reparations Committee of Trinidad and Tobago held the formal launch of the agenda on Saturday June 13th, 2015, at the Daaga Auditorium at UWI, St. Augustine. Present for this launch included Minister of the National Diversity and Social Integration Rodger Samuel, Minister of Foreign Affairs Winston Dookeran, Vice-Chancellor of UWI and Chairman of the CARICOM Reparations Commission Professor Sir Hilary Beckles, Trinidad & Tobago Ambassador to CARICOM Sir Edwin Carrington, as well as First Peoples representatives, Rastafarians, members of the Orisha community, and civil society. The event opened with invocations by First Peoples Shaman Cristo Adonis, followed by Orisha priest Erin Folami. These invocations were followed by a Nyabinghi-styled drumming and invocation by the Trinidad and Tobago All Mansion Rastafarians. Mr. Clyde Noel of the All Mansions of Rastafari, Trinidad and Tobago. 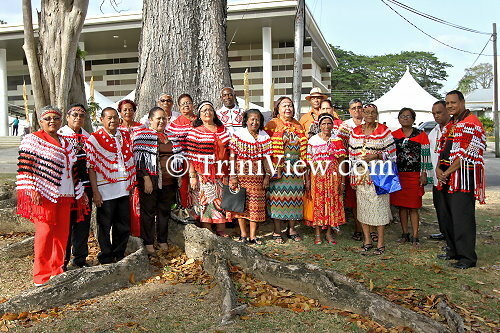 The committee also has representatives from the Office of the Prime Minister, the Ministry of the Attorney General, the Ministry of Arts and Multiculturalism and the University of Trinidad and Tobago. 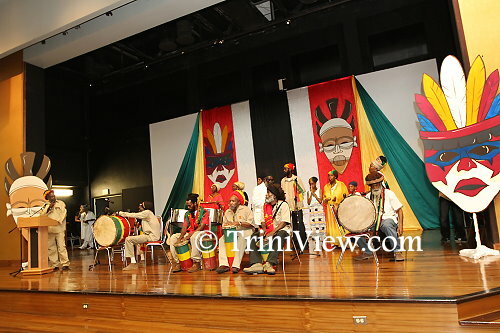 As such, he put forward that it is important for the region to recognize that the First Peoples’ experience, including in those CARICOM countries where communities no longer exist, goes hand in hand with African enslavement, and strengthens the case for reparatory justice. 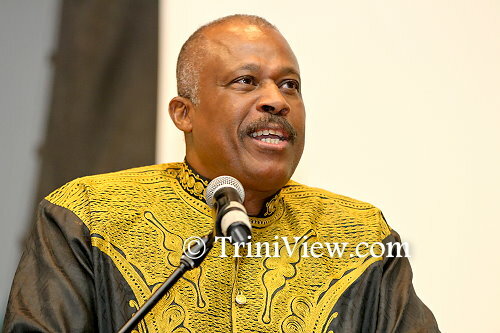 Feature speaker of the evening Professor Sir Hilary Beckles, Vice-Chancellor of The UWI and Chairman of the CARICOM Reparations Commission outlined the Reparations Commission’s vision of reparation in seeking to address historical wrongs and contribute to the development of the Caribbean region. Part of this vision includes a ten point agenda by which the movement for reparatory justice can be developed to address the Native Genocide against indigenous inhabitants, slavery and the slave trade against Africans, as well as the colonisation of countries in the region. 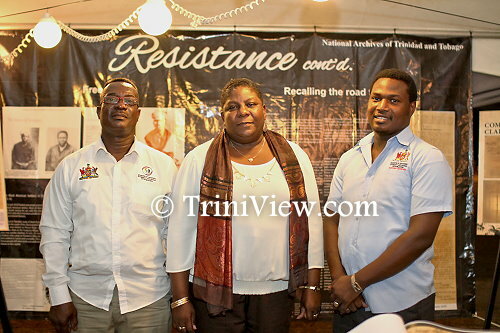 Although saying that Caribbean people are ahead of their government where reparations are concerned, Beckles acknowledged that most people in the region have no interest in reparations. He attributed this to those who do not wish to pay reparations who discredit the reparations movement by constructing it as a project by those who want to wallow in history, inferiority and dependency. Drawing upon historical narratives, Professor Beckles showed how members of the ruling elite in England are directly tied to the wealth generated by slave plantations. 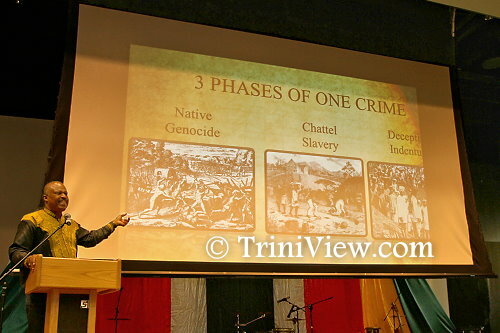 Beckles recalled that the British House of Lords had concluded that this was the largest crime committed in the modern world and we do not even know how to comprehend a settlement … that the crime is too large to litigate. He linked the many social problems in the region to the colonial mess inherited by Caribbean governments at Independence: “This mess cleaning has led to heavy expenditure in social policy, creating huge fiscal deficits in most instances. Colonial powers should be sharing the burden and partnering in our heroic efforts to create sustainable nations out of the rubble of colonialism,” he stated. 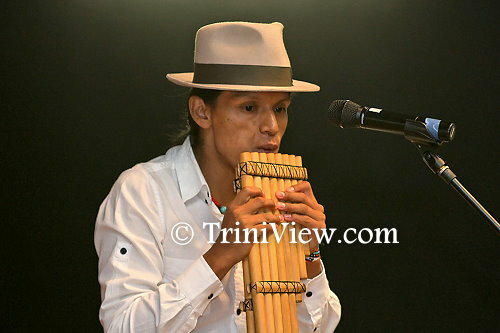 Performances on the night included Carlyle Oliver on the steelpan, young Jerimiah James with the calypso “Reparation”, veteran calypsonian Chalkdust who delivered two compositions titled “Grandfather Backpay” and “Reparations” and the group Yuyaric Kayna from Ecuador treated the audience to the music of the first peoples.